State of abandonment: In England, women in prison give birth without midwife. Who cares? After interviewing “28 female prisoners in England who were pregnant, or had recently given birth whilst imprisoned, ten members of staff, and ten months of non-participant observation”, Laura Abbott found “institutional thoughtlessness”; “institutional ignominy”; women’s coping strategies; and the ways in which women navigate the system to negotiate entitlements and seek information about their rights”. Pregnant women prisoners are both forgotten and shamed. This is how the State practices intersectionality. At the center of Abbott’s research is a woman called Layla. When she entered prison, Layla was 24 weeks pregnant with what would be her second child. Typical of most of the women interviewed, “Layla was incarcerated for the first time for her very first offence. Similar to most participants, she was distressed as she entered prison, was unaware of her rights and entitlements and did not know what would happen with regards to her midwifery care: `I didn’t know whether I was going to see a midwife, I didn’t know anything. I was absolutely distraught’. Layla was unaware of the process of applying for a place on an MBU (Mother Baby Unit): `None of the officers spoke to me about it (MBU), I just had to go off and do it all myself’”.. When Layla lost her `mucous plug’, she was sent to the health care nurse: “Health care were like, ‘Oh, you’re fine, you’ve got at least another seven to ten days before anything will happen … I was trying to explain … to health care, they were just like, ‘No, don’t worry about it,’ and I was like, ‘No, really, I know my own body … They were like, ‘Yeah, yeah, we’ll sort that out when and if you go into labour”. At 11 pm that same night, Layla started having contractions. By midnight, the contractions were coming on strong. A nurse came to her cell. Layla said she was in labor; the nurses doubted her and, finally, “`I’m telling you I am in labour,’ ‘No, you’re not. Here’s some paracetamol and a cup of tea”.At 12:30 the nurses left. At 12:40 Layla’s waters broke. Then the nurses decided to send Layla to hospital. Layla had to explain to the nurses that it was too late: “I says, ‘I haven’t got time to get to hospital. I did say to you I was in labour …`I was laid there on my bed, in my cell with a male nurse and a female nurse, not midwifery trained at all, trying to put gas and air in my mouth and I’m like, ‘I don’t want anything, I need to feel awake and I need to concentrate,’ and then out popped (baby)at twenty past one. Still no ambulance, still no paramedics and she came out foot first”. While in prison, Layla, and many other pregnant women, were treated abysmally. At the same time, officially, they were never there. England and Wales are famous for nationwide systems of hyper-surveillance and personal data collection. As a so-called “total institution”, prisoners are under intensive surveillance, down to the filaments of their DNA. And yet the State “forgot” to note either pregnant women prisoners or women prisoners in childbirth. Where there is no data, there are no bodies. What do you call the institutional erasure, through omission and refusal, of an entire and growing population of women? Call it femicide. Shackling pregnant women prisoners violates the law and women’s rights! This past session, Maryland passed anti-shackling bill HB 27. It took two years to pass a bill that protects pregnant inmates from being shackled. The Maryland bill passed along with one in Massachusetts, making these the 19th and 20th states to have such legislation. A number of states have passed anti-shackling bills restricting the use of restraints. Still, these bills don’t guarantee protection of the right for dignity of pregnant inmates, especially considering that most pregnant inmates are African Americans, Latinas, American Indians or members of other stigmatized communities. The Maryland bill was enacted on July 1, and already the question of monitoring and enforcement has emerged. Why? In the states where these “anti Shackling” bills have been enacted, women detainees are still being shackled. How can professionals in charge of women prisoners ignore what constitutes torture, despite “modern” means of communication? Speculators can place financial orders to make enormous amount of money in a nanosecond, but a bill that forbids torture needs so much effort to be understood? What type of training is needed to see that a pregnant women walking with chains or having chains around her waist is torture? Despite anti-shackling legislation, pregnant women in Texas are constantly at risk of being shackled. New York passed an anti-shackling law in 2009. Recently, in a survey of 27 women who had given birth in New York prisons, 23 said that they have been shackled before, during or right after their delivery. The women prison population is on the rise. The official language is that the vast majority goes to prison for non-violent offenses. The reality is their social position makes them more vulnerable to being punished for pitiful reasons. Meanwhile the punishment inside the prison is constant and degrading. Abuses go from restricting the number of maxi pads for periods per month and per woman, unless the woman pays for more, to restricting motherhood, making it difficult to keep contact with already born children as well as guaranteeing decent conditions for pregnancy, delivery and post partum recovery. 70% of incarcerated women are mothers, and about 6% are pregnant. Still, women inmates are treated like men. In Maryland during the discussion of the anti-shackling bill, testimonies arguing against the bill presented possibility of escape as a major risk. All the “evidence” concerned men’s attempts to escape while being transported to hospital. No one said anything to correct this. Women who are pregnant don’t escape. There has been no incident of women in labor escaping or causing harm. The anti-shackling bills have also a tendency to be weak in the protection of pregnant women. In Maryland a series of amendments dulled the impact of the introduced bill. The language – including recognition of the conditions of pregnancy, the importance to comply with international human rights principles, and more precisions about the monitoring of use of restraints if deemed necessary of HB 27 – was crossed out. Still, this bill is important, and it is what we have in Maryland. All efforts should now go to monitoring the application and enforcement of the bill so pregnant inmates are not left alone to deal with abuses. The conclusion should be clear and should include the entire United States. The United States should pass a clear federal law that prohibits shackling pregnant incarcerated women. Why not become more human and make the incarceration of pregnant women more difficult if not impossible? Why not stop the cycle of violence and torture? Women’s right to dignity has to be defended at the national level. A right is a right, and a law to protect women’s dignity is a law! Did Mother’s Day end early this year? Mother’s Day seemed to end early and abruptly this year. Speaking of clarifying the law, Marissa Alexander still can’t catch a break. For having shot once in the air and not endangered anyone, in order to ward off an abusive partner, Marissa Alexander still faces a possible 60 years behind bars. While her lawyers may have all sorts of new evidence, the prosecuting attorney says the evidence isn’t new enough and the judge is worried about the precedent set by having a second Stand Your Ground hearing. Happy Mother’s Day. We are farmworker women. This is the fourth celebration of Mother’s Day in which we are writing to Publix to ask that you join the Fair Food Program. As mothers, we work in the fields to support our families, especially to help our children through school. As mothers, we do not make enough to fully support our family. And the little that we do make is not easy to earn: We work under the sun and rain of Florida. We do everything so that you can have tomatoes: we plant, we tie up the plants, we harvest, and then we do it all again the next season. In spite of all that, it seems that you do not understand and do not want to hear the voice of farmworkers. Publix profits from the sweat of those of us who work in the fields. We deserve respect and we deserve a fair wage. Now is the time to join the Fair Food Program to protect the rights of workers and ensure a fair wage, with the penny per pound that 12 other corporations are already paying. What are you waiting for, Publix? Others, like Nely Rodriguez, mother of four, agreed. Now is the time! 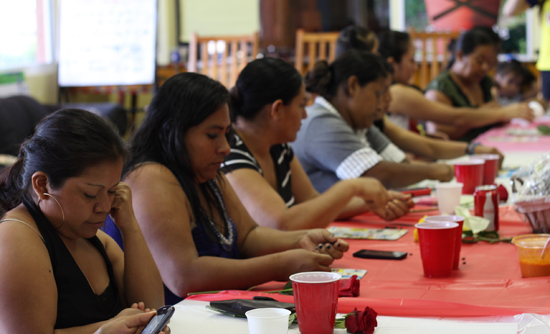 Thanks to the work of women like Marissa Alexander, Lupe Gonzalo, Nely Rodriguez, maybe Mother’s Day didn’t end early this year, because, for them, the struggle of women continues, and that’s what Mother’s Day is all about. Healthy Births for Incarcerated Women: Women are the etc. Etc. Women are the etc. Most of the women are in for drug-related offenses. Many are in for longer terms, `thanks’ to Three Strikes and mandatory sentencing policies. Mary Washington introduced a similar bill last year, which was so watered down in committee that it was gutted of any serious content. Hopefully this year’s bill will fare better. Washington has been working with the ACLU of Maryland; Power Inside, a Baltimore group that “serves women impacted by incarceration, street life and abuse”; law faculty from the University of Maryland Law School; students from the University of Maryland – Baltimore County; members of Women In and Beyond the Global; and others. Maryland is one of a number of states in which legislators are trying to ban the shackling of pregnant women prisoners. In each state, part of the struggle is that women are the etc. Opponents suggest security and flight risks; they share anecdotes of prisoners who have escaped while in hospital. Those anecdotes never involve women, much less pregnant women, much less women in labor or childbirth. Last year, when those anecdotes were presented to the Judiciary Committee, no one mentioned that salient issue. Women are the etc. : women of color, working women, women prisoners, women. The Healthy Births for Incarcerated Women involves all women, any woman, every woman. 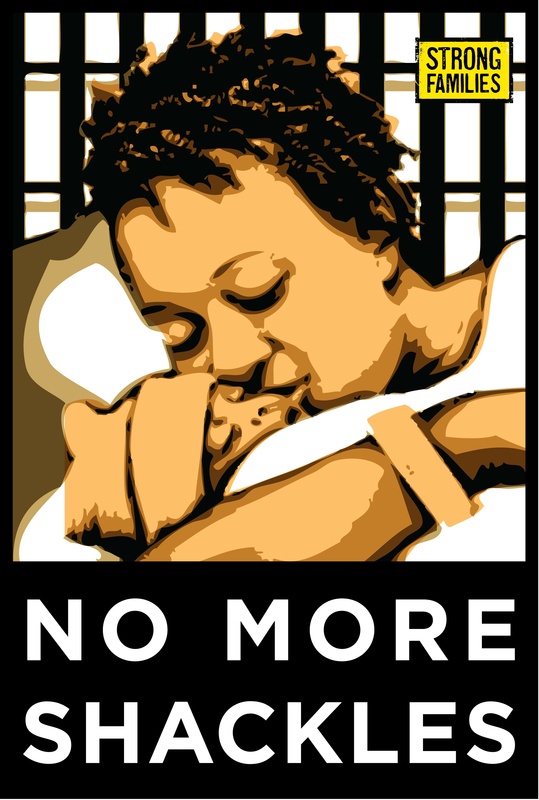 Michigan: Demand clear standards that protect the rights and health of pregnant inmates! In Maryland, incarcerated women are struggling for the right to safe and humane birthing conditions. Currently, Maryland practices the shackling of pregnant inmates before, during, and after labor and the delivery of their babies. But this isn’t the only state where that proverbial glow radiating from expectant mothers is dulled by the heavy chains habitually used to restrain them. In fact, only 18 states have legislation limiting the use of shackles on pregnant women. Michigan is one of those states. 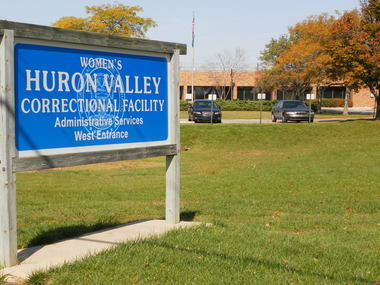 Huron Valley Correctional Facility in Ypsilanti is the only women’s prison in Michigan. According to the operating procedures at HVCF, pregnant prisoners are handcuffed during transport to the hospital, even if they are in active labor. At the hospital, the prisoner’s handcuffs are removed and no other form of restraint may be used during labor and delivery, with exceptions through authorization. However, there is no state legislation mandating this practice. Furthermore, not all incarcerated women are housed at Huron Valley; many serve their sentences in local jails throughout the state. What are the operational procedures, if any, that protect pregnant and postpartum women there? And how is HVCF held accountable to make sure they comply with operating procedures? There are three main reasons why we should be concerned about the shackling of pregnant inmates: 1.) cruelty, trauma, and humiliation associated with shackling, 2.) the significant health risks they pose to pregnant women, and 3.) constitutionality. According to the ACLU, every single court that has consider the practice of shackling women during labor has found it to be unconstitutional. On Tuesday January 28th, Maryland lawmakers will gather in Annapolis to decide on the fate of HB27, the “Healthy Births for Incarcerated Women Act.” Michigan should follow Maryland’s lead by demanding clear standards that protect the rights and health of pregnant inmates.